While the chicks slept in the coop at night, they spent the first few days hiding under the coop. 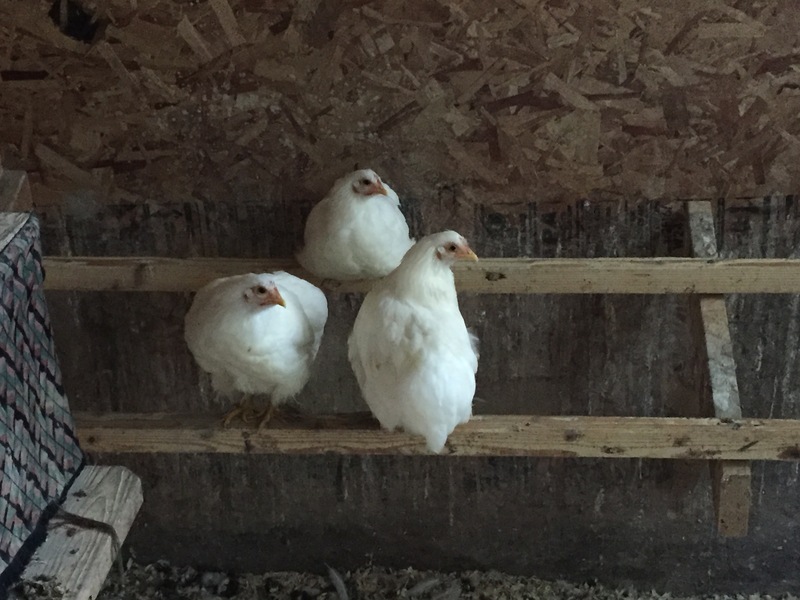 They slowly began to venture out further from the coop after a week or two as they gained more confidence and got used to their new area. Although they are still a little hesitant around the other chickens, they now head out to free range in the nearby fields along with the other chickens. The bantam cochins free-range in the fields. Even though they hang out relatively near the other chickens in general, they usually stick fairly close together, even within the larger flock. The cochins roosting in the coop. Hopefully they will continue to grow in confidence and fully integrate into the main flock, although it is likely that they will always be closest within their own group as they are the same age and grew up together. 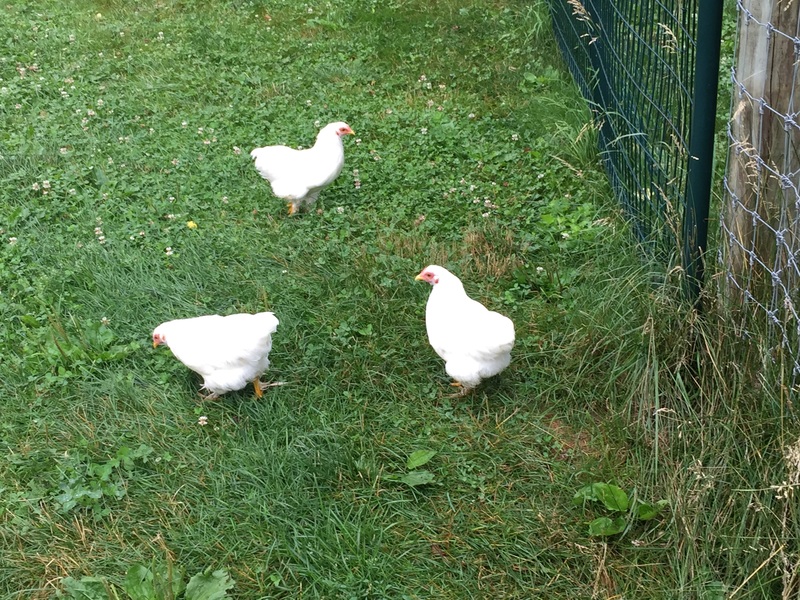 This entry was posted in Animals, Farm and tagged chickens, farm by Dan. Bookmark the permalink.